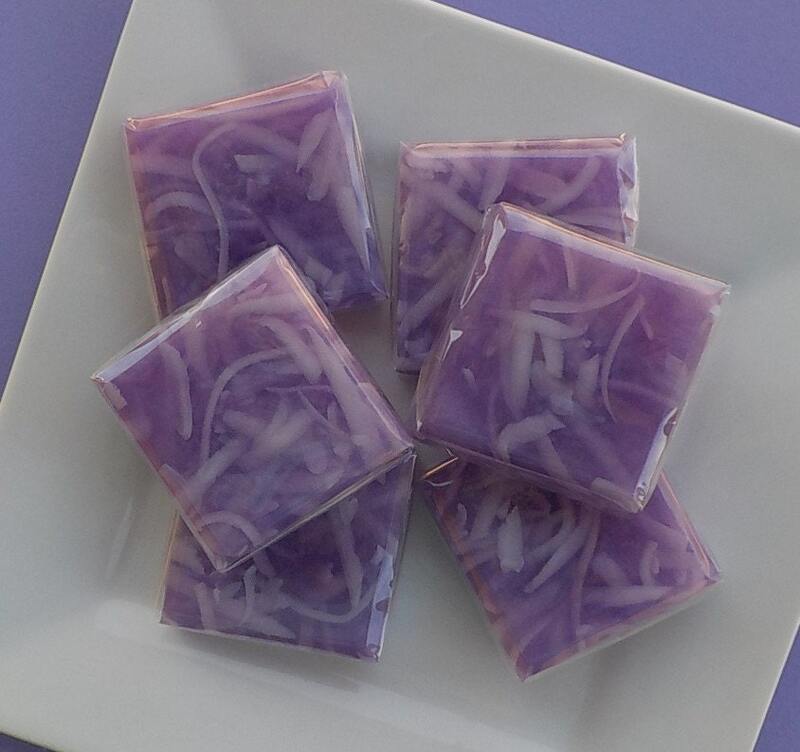 These adorable lavender / purple square soaps are perfect shower favors to give to your guests whether it be wedding shower, bridal shower or baby shower. They are clear glycerin soap with white shredded soap embeds. 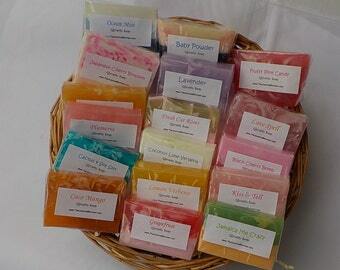 Each soap is individually wrapped in clear cello and has the white label. They are 2 x 2 inches by just over half inch deep. Labels will be as shown in the photo but we can change it to From (name) Shower if you would like. Just mention when checking out what you would like. If you would like more than one scent please mention in comments when checking out which ones you would like. We need a minimum of 15 soaps per scent. Please send a convo. Usually we can get them out earlier if needed. We can ship internationally. Please send convo with quantity and destination and we will set up a custom listing with your exact shipping cost. Please email with any questions or requests. These adorable lavender soaps were the perfect favors for the bridal shower...the size, scent and wrapping could not have been better! Great size hand soap! Using these As wedding favors! Adorable party favors. They smelled great and looked beautiful. Shipped fast!